Windows Mobile out, Android in – hurrah! 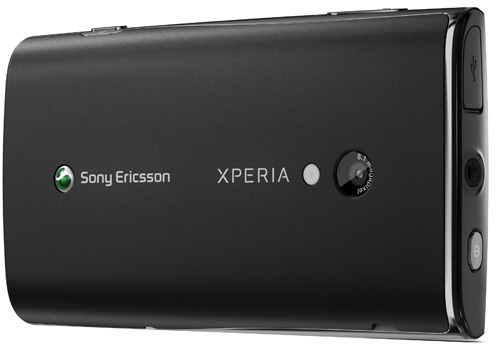 Review Sony Ericsson hasn't had a great deal of luck with its premium Xperia smartphone series. The original X1 was an ill-conceived mangle of style and smartphone that didn't really succeed at doing anything very well. More recently, the hotly hyped Xperia 2 was unceremoniously pulled from UK release after Vodafone announced that it wouldn't be including it in its portfolio, however, it did appear in Europe. The latest Xperia X10 therefore either promises little or carries the weight of SE's hopes and dreams on its shoulders, depending on which way you look at it. The X10’s spec certainly seems impressive and is Sony’ Ericsson’s first outing with an Android OS, featuring the company’s own bespoke interface on top. With its 4in screen and 8.1Mp camera, plus Wi-Fi and A-GPS, the Xperia X10 can certainly talk the talk, but can it walk the walk? The Xperia X10 a sizeable handful at 119 x 63 x 13mm and 135g, yet its sloping sides mean it seems a bit thinner than it actually is. The mammoth screen dominates the front and has three slim buttons below it for settings, home and back. On the sides are a volume rocker and camera shutter button, with power/standby button, 3.5mm headphone jack and a micro USB slot protected by a plastic grommet on top. It's finished in glossy black plastic surround with chrome trim and a rubberised plastic back cover. There's no slot on the side for the micro SD card as you'll have to remove the battery to get to it, which seems like something of a throwback these days, but still an 8GB card is supplied – nice. The screen hasn't taken the OLED route of recent Android handsets from HTC, for example, yet it's sharp and clear and offers 480 x 854-pixel resolution and 65,000 colours. It's capacitive, but not the most sensitive I've used and I had to double press a few too many times to make my wishes known. The display doesn't have multi-touch capability either, and while it may not be exactly cutting edge, it's still more than just OK. While both previous Xperias were Windows Mobile handsets, the X10 is an Android beast, albeit with a generous level of SE customisation. It's running Android 1.6 Donut, so not the very latest Éclair version, which means it misses out on some of the latest browser and keyboard improvements and a higher display colour count.